I have no issue saying that I expect the worse when I heard Antman was announced to the docket of Marvel films being made. First of all, the concept is one of those ridiculous conceits that probably play better on the page than in real life. Secondly, there’s all the behind the scenes drama with Edgar Wright leaving the project and Peyton Reed coming and having to rewrite part of the script with Paul Rudd. It just seemed ready made for a disaster, so was it? No, it’s a fun movie that’s hilarious in parts and enjoyable throughout. 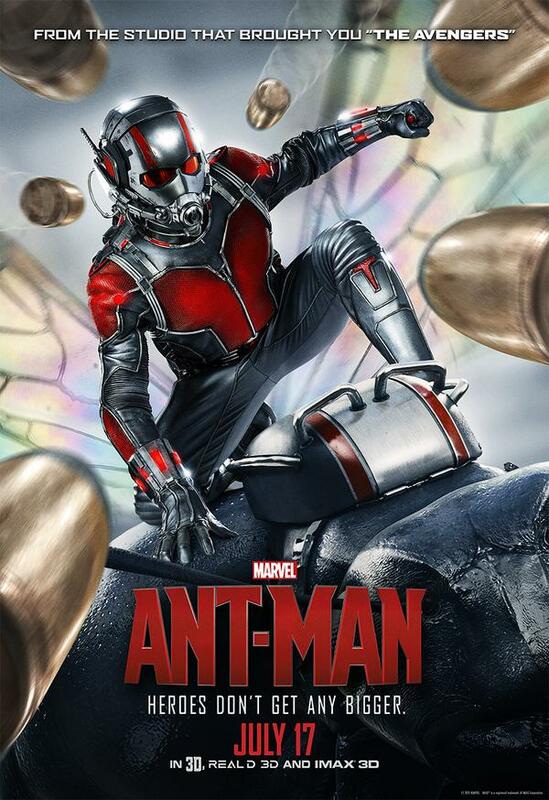 The sillier part of the concept is pulled off with impressive ease and Paul Rudd fits the role perfectly. A solid supporting cast, anchored by a very engaged Michael Douglas, makes for an all around good time. It’s the type of Marvel film you come to expect and it doesn’t throw any major curveballs. There are a few Marvel universe bits thrown in and it’s not as shoehorned as they’ve been in other film. Minor issues like Evangeline Lilly’s wig and Corey Stoll mustache twirling villainy, I still half expected his toupee from The Strain to pop up, are digestible. Antman is a solid entry to the ever expanding universe and worth seeing for impressive action set pieces and a surprisingly sharp script, be sure to stick around for the two stingers at the end. Nosiness got the better of me and I had to read your review now - I'll catch the film next week. It sounds a lot better than I expected it to be although I don't think I will ever get my head around the appeal of Paul Rudd. Good to see that the post credit scenes are worth it! It's a fun enough film, nothing great but a good time. Post Credit scenes are worth it, especially the last one. I think that the second post credit sequence was Marvel's best to date. Worth the wait. Like you said, we are in complete agreement on this one. It was enjoyable, and worked better than I thought given the road to making it. Ant-Man as a character is a solid addition to the MCU. All things considered it came out much better than expected. I had a good time with it. It was a lot of fun all around, really accessible to everyone, even people who aren't big Marvel fans.